In life as in politics it is rare that one gets to venture outside the norms of our existence; and in segregated Belfast this means getting to mix in genuinely socially, politically and culturally diverse environments. When these rare moments arise it is best to grab them and make the most of them. Thus on the evening of Thursday 14th March I ventured up to St Mary’s University College on the Falls Road to attend the launch of Tom Hartley’s new book ‘Balmoral Cemetery’; a must read for all those seeking to understand the history of Presbyterianism in Belfast. As well as enjoying the aforementioned genuinely socially, politically and culturally diverse environment, I especially enjoyed Tom’s sharing of what motivated him to his endeavour. In this he drew our attention to his own family history and the Presbyterian tradition that had within many of our lifetimes, existed on the Falls Road; he talked of its contribution to the area and challenged the contemporary community to understand it; to value it; and to respect it. Even now over twenty years after the Good Friday Agreement there are people who would find it unimaginable that a former Sinn Fein Lord Mayor would do so much work to ensure our knowledge of Presbyterian Belfast; and more so the notion that he would use it to inform an argument that says that Falls Road Republicans should work hard to preserve that history on their patch? These people need reminded that this is the same Tom Hartley who engaged in a renowned shared history journey to the Somme battle fields with the late David Ervine and through it they demonstrated the power of shared difference when investigating shared history; how we miss those moments of shared generosity today. Good history informs, interprets and invites the reader to continue the journey and think beyond what the writer has been able to provide. As I drove home reflecting on what he had said I could not resist the notion of Tom’s seeking to challenge as a means to understand, value, and respect. My mind drifted onto the current Brexit uncertainty and the growing momentum towards a ‘Poll on Irish Unity’ and I asked myself, what questions would I challenge contemporary Irish Nationalists and Republicans with today? By the time I got home there were three. The first focuses on legitimacy and difference and is for Irish Nationalism and Republicanism in its entirety. The second focuses on the Republic of Ireland and the values that underpin it and is for North East Ulster (Northern Ireland) based Irish Nationalists and Republicans. The pthird that seeks to understand what exactly the phrase ‘Poll on Irish Unity’ means, is for those political leaders calling for one. In advance of presenting them I’ll give a little context. I am a Northern Irish Ulsterman, who by principle aligns with the four hundred and seventy one thousand, four hundred and fourteen legitimate residents of our island, who self-identified as ‘men of Ulster’ and ‘women of Ulster’ by respectively signing the Ulster Covenant and the Ulster Declaration in September 1912. As a happy Northern Irelander with no reason to rock any boat I have never felt the need to question the Republic of Ireland or the values that support it; but Brexit uncertainty and the gathering momentum towards the aforementioned ‘Poll on Irish Unity’ changes that. And lastly I am a teacher by trade so apologies in advance if this looks and feels like an old fashioned history/politics homework. I know no other way. As previously stated the first question focuses on legitimacy and difference and is for Irish Nationalism and Republicanism in its entirety; it is important because our history is populated by two competing themes, one that says there is one Irish people and nation versus that which says that those who defined themselves as ‘men of Ulster’ and ‘women of Ulster’ in 1912 constitute a second people with a different history, culture and national aspiration. As a Northern Irish Ulsterman whose historical narrative on this island begins with the 17th century plantations in Ulster, I am not Irish as it was defined in the 1916 Proclamation of the Irish Republic, principally because I cannot accept the line that says the ‘Irish Republic is entitled to, and hereby claims, the allegiance of every Irishman and woman’. As a unionist whose political instinct is for individualism over collectivism I am much more comfortable when the individual chose to adopt their Ulster identity by signing the Covenant or Declaration. As well as that the 1916 Proclamation states that the Republic will be ‘oblivious of the differences carefully fostered by an alien Government, which have divided a minority from the majority in the past’. a) Do Irish Nationalists and Republicans recognise the settler identity that dates back to the 17th Century plantations in Ulster as legitimate? b) Has that different identity the right to speak for itself, define its own history and determine its own future; even in the event of a majority in Northern Ireland voting for ‘Irish Unity’? Now to my second question; this time only for North East Ulster based Irish Nationalists and Republicans. 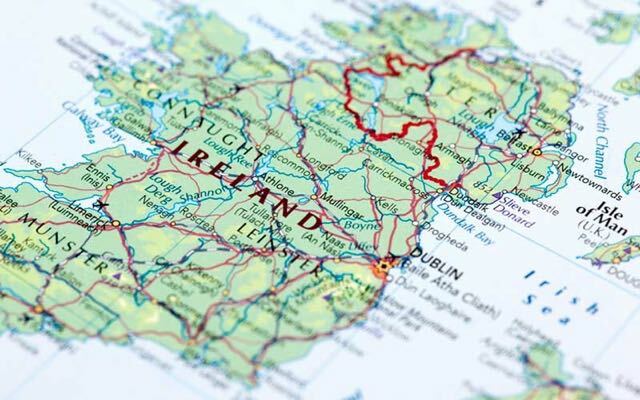 It is focused on the Republic of Ireland and the values that support it because despite all the talk of a ‘Poll on Irish Unity’ the only model of an Irish nation currently available is this one; and I consider it to be totally unsuitable. a) Do North East Ulster based Irish Nationalists and Republicans endorse the Republic of Ireland as the model for a ‘Poll on Irish Unity’? b) In light of our shared history of division and misunderstanding do North East Ulster based Irish Nationalists and Republicans recognise the dangers of endorsing a model that recommends assimilation of the minority as a means to resolving historic difference? Now the third and final question, this time for those political leaders calling for a ‘Poll on Irish Unity’. a) What does the phrase ‘Poll on Irish Unity’ mean? b) Is this not in reality a vote as to whether Northern Ireland should break with Great Britain by remaining in the European Union; and thus to call it a ‘Poll on Irish Unity’ is dangerously disingenuous and open to legitimate challenge if won? In conclusion I shall resist the urge to tell the reader that they have a month to get their homework in, with extensions only granted to those with a note signed by a parent or guardian. Instead I thank the reader for their time and look forward to the responses; if there are any. April 9, 2019 in News & Current Affairs. David is not entirely accurate in his historical summary nor his thought that a more Unionist 6 counties would have been conflict free. That erroneous thought is quite alarming actually & highlights a Unionist POV which has been the cause of so much strive & total ignorance of the Nationalist experience past & present. The Orange Order has been a malign influence on Unionism & this fact was recognised by Westminster in the 19th Century. The OO has a revered position in this state with its own Public Holidays & an arrogant believe that it is above British Law and still holds today – in the 21st Century – the view that the Pope is the Anti-Christ. The fact that an Orangeman can only be born and not converted to Orangism and can be from any Christian faith other than Catholicism is a fact never forgotten by Nats here. I know from contact with PUP sources that OO is a sacred cow! Reflection leads me to believe that Partition of some kind was necessary in 1921 & perhaps as part of a New Ireland might remain is some format. The 1921 Treaty had protections build in which if they had been adhered to would certainly have prevented conflict as bad as we had from 1966/68/69 – 1990s. However the 6 Counties was shaped to suit an arrogant, unfeeling Unionism & that made Conflict inevitable. 1969 saw Terence O’Neill realise Unionism had screwed up. His attempts at bringing some sort of Equality( though not Equity) & his proposed reforms were no where near those progressively included in the 1921 Treaty and yet were still seen by vast majority of Unionists as a bridge too far – even though Unionism’s foot soldiers would also have benefited from Universal Suffrage. As for the descendants of the Planters, well this is their land too but unlike the Normans they made no attempt in 300 years to assimilate with the natives – of course the Reformation was the difference and was responsible for that. Still today most Unionists enjoy Orange Order events & the Public Holidays, which Unionists created after Partition, to celebrate this base 16th Century outlook on life in general and the natives in particular. I have no truck with Dev nor the 26 Counties outlook on life either – the 16th Century touched there & Dev too. Most I know who would like a UI agree that religion must have no part in any New Irish state or Confederation. Though I said Partition may have been necessary in 1921 I now have no doubt that the Union of GB & NI is now finished as presently constituted. That does nothing to infringe the Planter communities way of life, but neither can they put a stop to big changes. The GFA has many faults but it was/is a Mark 1. We can learn much from it about dual ID etc. David is I believe is from East Belfast and this area of our City has produced more that its share of creative people who give joy to us all. It cannot be beyond us all to create together a New Ireland as something entirely new which will give expression to all our hopes, ambitions and futures, to create any entity which does not attempt to bring joy to all is a waste of time. Again I repeat – Unionism cannot be a barrier to this and having said that I recognise Unionism’s natural reaction is “not an inch” & a lack of vision and pragmatic leadership within Unionism does present problems for us all. David and Unionism are in many ways like the 26 Co society. Both these groups moved on without a thought for northern Nationalism. Dublin forgot we existed and Unionism’s creation of a more Unionist state than the Westminster had envisaged made us invisible. The 1921 Treaty rights granted North’s Nats were altered by UK/Unionism & Dublin had no interest in making a fuss about this short-sighted meanness of spirit. We have waited a long time and most Nats will have nurtured the dream of Equity through demographic change – the two groups above have both indicated their reluctance to try and be generous enough to try and put themselves in the position North’s Nats have been in for 100yrs. And to finish we must remember that the conflict we have left behind was started by Unionism in response to demands for Civil Rights. Unionism embarked on a bombing campaign and then Pogrom before PIRA was even born. David you ask two questions 1) do North East Ulster based Irish Nationalists and Republicans endorse the Republic of Ireland as the model for a ‘Poll on Irish Unity’? And the answer is an emphatic no.